In December of 2003 “Birds of Armenia” project together with Ecoclub “Ani” of Saint Akob Church in Gyumri have started winter competition titled “At my bird feeder…” Children from different schools of Gyumri made feeders and placed them in the backyards and parks. Then, they painted pictures of birds in winter, wrote stories about birds and sent them to us together with the photos of feeders they made. Judges chose the best paintings and stories and the winners of the competition got prices (binoculars, books about birds, etc). 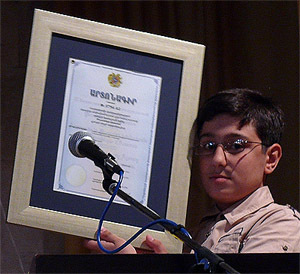 Presentation of the results took place on the International Bird Day, which we made the mid of April of 2004 in the Central Park of Gyumri. More than 200 children with their parents and friends joined us during the event, so that the next year we enlarged the borders of the competition and involved Yerevan, Vanadzor, Stepanavan and Gyumri. We closely cooperated with our partners who helped us to organize the competition: EcoClub “Ani” in Gyumri, Yerak NGO in Vanadzor, and LTEIC NGO in Stepanavan. We also put new nomination “The best observation” in the competition. In this time more than 2000 people joined us and we conducted International Bird Day Celebration in all four cities. One of the competitors made exclusive feeder, and received official governmental patent license for 15 years. From 2006 to 2007 environmental oriented Peace Corp volunteers also were involved in the project. They were the representatives of “Birds In My Backyard” competition, each in their own villages or towns. 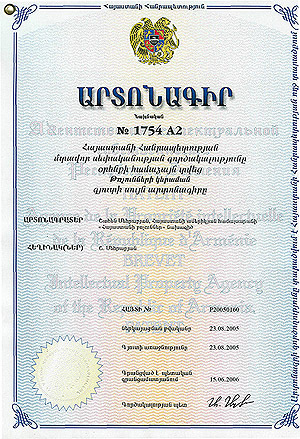 Starting from 2006 more then 48 volunteers were involved in the project from different parts of Armenia. From the period of 2008-2009 we started to cooperate with governance offices in different regions and with "National Center for Educational Technologies" a state non trade organization, therefore we involved more children, as they were supporting in spreading information. Based on the experience we have, we can say that really enjoy participating in such kind of activities involving their parents in feeder making process, which is more important as a part of indirect adult education. Increased number of competition works and their increasing quality will serve as an estimation of their participation activity. The bird-feeder-watchers’ activity will be measured by the number of received bird photos at feeders. During the time provided more then 4000 schoolchildren from 360 schools participated in the competition. What is worth mentioning is that the teachers and the parents of the children also took active part in the feeder making process.